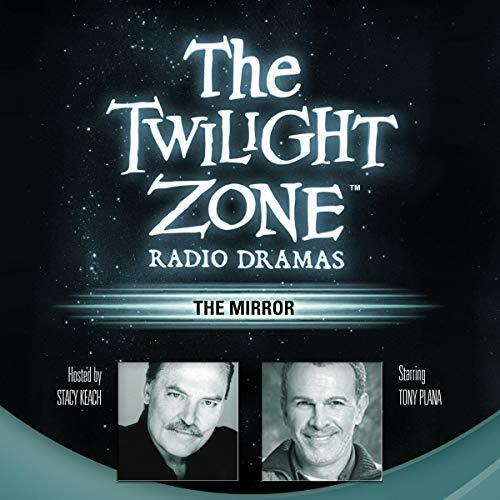 Experience one of television's greatest science-fiction series: The Twilight Zone - fully dramatized for audio! Featuring a full cast, music and sound effects, and today's biggest celebrities in modern radio dramatizations. A revolutionary uses a magic mirror that reflects his "would-be" assassins in order to kill them off - but is the mirror friend or foe? A nice redo of the Serling original. This faithfully recreates the original Rod Serling version for radio. It's been years since I've seen the original, but it probably didn't have a full Latino cast like this one does, considering the casting choices of the era.